Academics from across the country gathered at BYU to present and discuss programs and research on foreign language housing and its effectiveness in second language acquisition. 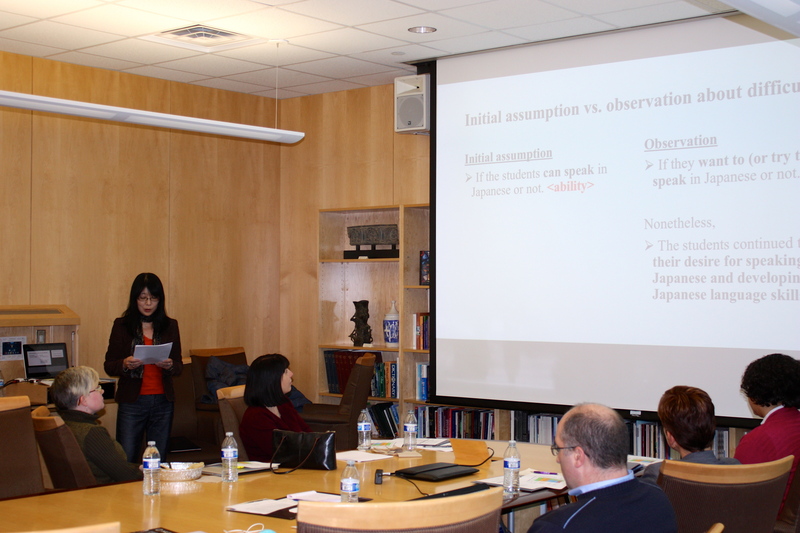 PROVO, Utah (March 5, 2015)—The first-ever symposium on foreign language housing took place at BYU on March 5th and 6th and included research and collaboration from eight different universities. The symposium was supported by the College of Humanities and BYU’s language departments. The purpose of the symposium was to articulate best practices for implementing university foreign language houses, and to establish a research agenda to examine the effects of foreign language housing. Participating universities and colleges included Oberlin College, University of Maryland, Bowling Green State University, University of Colorado Boulder, University of Tulsa, Pomona College, University of Rhode Island and Brigham Young University. There is very little research regarding the effect of foreign language housing on language acquisition. Most of the research on this topic has been conducted at BYU by professors Dan Dewey (Linguistics and English Language), Rob Martinsen (Spanish and Portuguese), Laura Catherine Smith (German and Russian), as well as Wendy Smemoe (Linguistics and English Language) and Jennifer Bown. They have looked at the effectiveness of foreign language housing for facilitating language use, promoting language gain, and improving pronunciation. A 2011 survey conducted by Dan Dewey, Rob Martinsen, Wendy Smemoe, and Jennifer Bown uncovered approximately 100 foreign language housing facilities across the nation, and Bown noted that the symposium gathered scholars and foreign language housing administrators from a handful of these colleges who represented different kinds of foreign language housing and various research interests. Beyond discussing the structure and improvement of foreign language housing programs, Bown noted that the ultimate hope is to produce an edited volume on the topic. According to Bown, the edited volume will need to include both research and descriptions of programs, and part of the symposium’s goal was to establish a research agenda on foreign language housing.